The pudendal nerve runs through the gluteus muscles (the buttocks) and into the perineum (think of the perineum as any part of the body that touches a bicycle seat). Pudendal neuralgia (also known as pudendal neuropathy) is a disorder of the pudendal nerve that can lead to chronic pelvic pain. This condition may be caused by pudendal nerve entrapment, when the nerve becomes compressed, or by damage to the pudendal nerve itself and is also known as pudendal neuropathy. 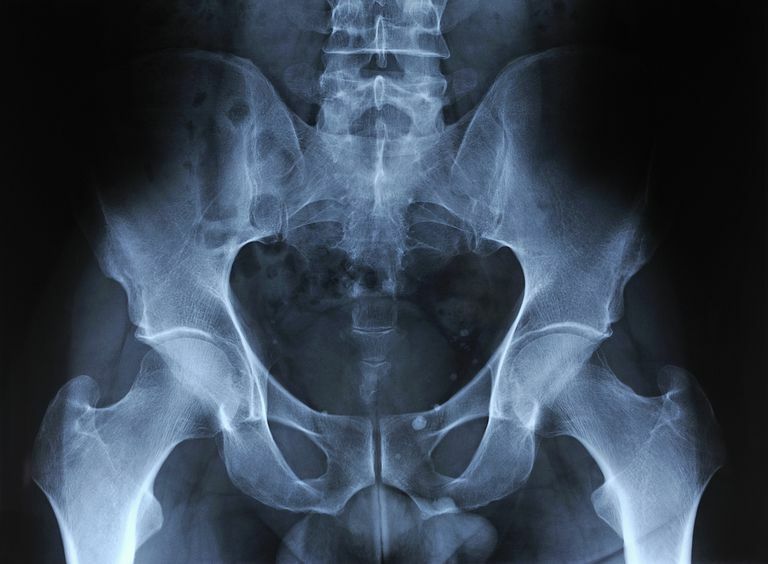 Cyclist’s Syndrome: Prolonged sitting on hard surfaces such as a bicycle seat can cause pelvic nerve compression, which can lead to chronic pelvic pain over time. In fact, this happens so frequently that pudendal neuralgia, a type of chronic pelvic pain caused by entrapment or compression of the pudendal nerve, is often referred to as Cyclist’s Syndrome. Sitting on some types of bicycle seats for long periods of time puts pressure on the pudendal nerve. Such pressure can cause swelling around the nerve, which causes nerve pain, and may even lead to nerve trauma over time. Nerve compression and swelling often cause pain described as burning, stinging or feeling like pins and needles. Preventing Cyclist's Syndrome: Some cyclists advocate different types of bicycle seats to avoid nerve compression. However, there is no scientific research that states certain seats decrease the incidence of pudendal neuralgia in distance cyclists. In other words, trying out a new seat certainly won’t hurt you, but don’t expect spending more money on a fancier saddle to guarantee a pain-free ride. For most people with pudendal neuralgia caused by cycling, symptoms appear after prolonged biking, sometimes months or years later. In other words, by the time you realize there is a problem, the damage may have already been done. You may be able to avoid pudendal neuralgia by taking regular rest breaks during periods of cycling, or by taking time off between races to “rest” the pelvic nerves. If you are starting to develop pelvic pain symptoms, take a rest and see your doctor as soon as you can. Pain in sitting that goes away when standing. Because the symptoms are often hard to distinguish, pudendal neuropathy can often be hard to differentiate from other types of chronic pelvic pain, such as prostatitis and vulvodynia. If the cause is excessive sitting or cycling, pudendal neuralgia can be treated with rest. Nerve blocks may help relieve pain caused by pudendal nerve entrapment. Anticonvulsants such as Neurontin and antidepressants such as Elavil may be prescribed for help controlling pudendal neuropathy pain. Nerve decompression surgery may be required. If you have chronic pelvic pain caused by pudendal neuropathy, your physician may use any combination of these treatments. Andersen, Kjeld V, and Bovim, Gunnar. Impotence and Nerve Entrapment in Long Distance Amateur Cyclists. Acta Neurologica Scandinavica. 95:4, Pages 233 - 240. Antolak Jr, Stanley J. Pudendal Neuralgia: Pudendal Nerve Entrapment, Alcock Canal Syndrome, and Pudendal Canal Syndrome. Genitourinary Pain And Inflammation. Ed: Jeannette M. Potts. Humana Press, Totowa, NJ. 2008. pp 39-56. McDonald, John S. MD; Spigos, Dimitrios G. MD. Computed Tomography-Guided Pudendal Block for Treatment of Pelvic Pain Due To Pudendal Neuropathy. Obstetrics and Gynecology. February 2000. 95:2. pp 306-309. National Pain Foundation. Pelvic Pain: Causes. http://www.nationalpainfoundation.org/articles/717/causes. University of Rochester Medical Center. Pudendal Neuralgia. http://www.urmc.rochester.edu/smd/Rad/Pudendal.pdf. Will Tylenol and Similar Drugs Help Neuropathy?